NEXT WEDNESDAY at the Róisín Dubh will be something of a ladies’ night as the bill for the evening will feature four female comedians. The headliners are two of the best in the business - Corkonian Maeve Higgins and Londoner Josie Long. Josie Long began stand-up comedy at 14, after encouragement from her parents and three years later won the 1999 BBC New Comedy Award. However being only 17 she was too young for the champagne that came as part of the prize. 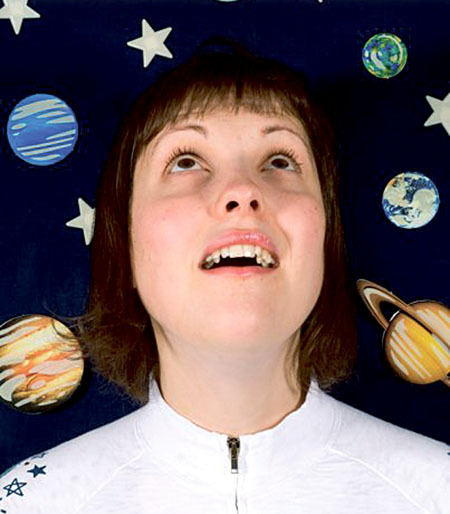 She took tine off from comedy to complete her English degree at Oxford, but within two years of her return her quirky and whimsical comedy landed her the 2005 best newcomer in the Chortle Awards, the 2006 best newcomer in the if.comedy awards, and the 2007 best breakthrough act in the Chortle Awards. As well as being a popular touring comedian whose shows have attracted critical acclaim, Josie has also written radio plays for BBC Radio 4, and written scripts for TV series Skins. Maeve Higgins is one of the most popular comedians on the Irish circuit. She first came to national attention in 2005 for her sketches on Naked Camera and has since performed at the Edinburgh Fringe Festival, and the Melbourne, New Zealand, and Brisbane comedy festivals. She has written and performed her own TV show Maeve Higgins’ Fancy Vittles and has a regular slot on Ray D’Arcy’s Today FM show.